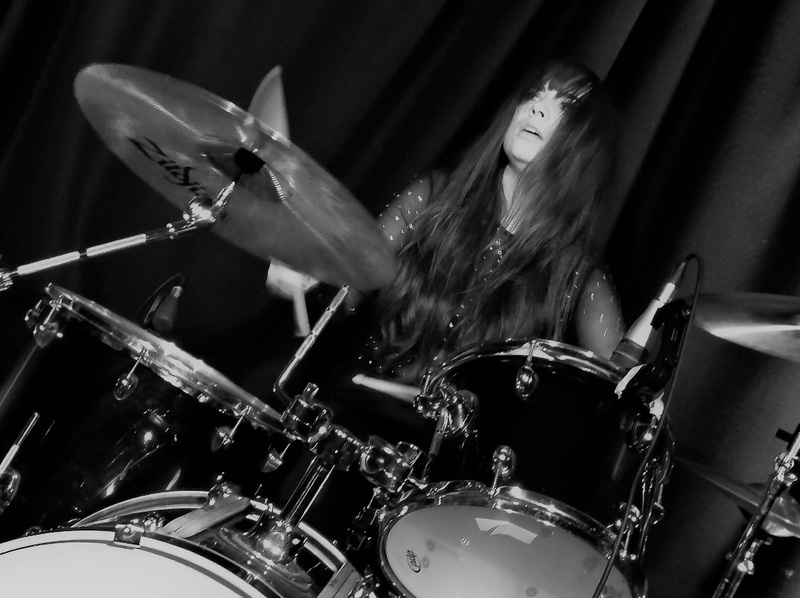 Tonight’s gig at the Rialto Theatre in Brighton was going to be one with a difference, as we were to witness three completely different styled music acts who were all exceptional in their own fields and very encouragingly all three had female drummers! But that wasn’t to be the only memorable reason, as tonight’s headliners were to play a style of music that we hadn’t heard performed live before. Those headliners being Juniore (who formed in 2013) and that sound being sensual French melodies drowned in reverb, sweet and sour harmonies filled with melancholy and rhythm. 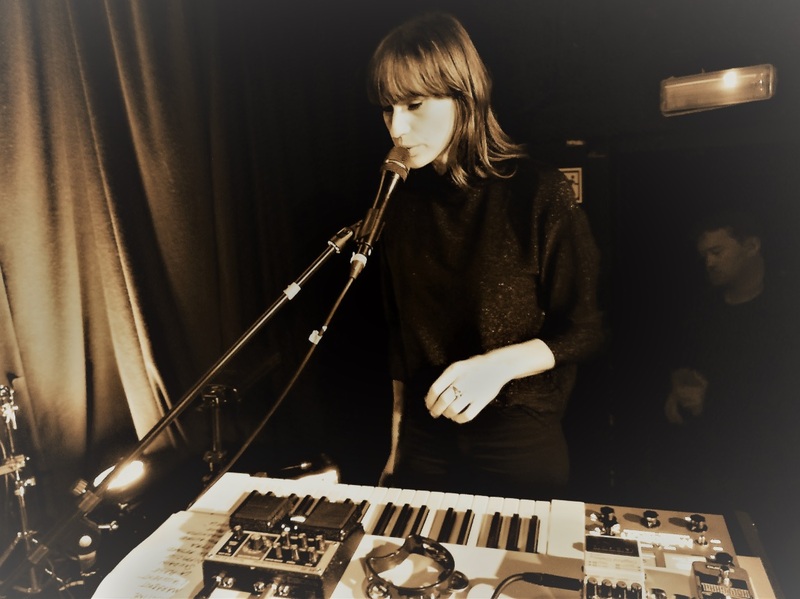 Juniore is the brainchild of Anna Jean, a singer who lent her voice to songs of Parisian electro acts like Jackson, Jérôme ”Tacteel” Echenoz and Bot’Ox, in which she is joined tonight by two other musicians, who I suspect to be female drummer Swanny and “The Thing” (as Anna referred to ‘it’ as during the show), whom I reckon is likely to be producer Samy Osta (Rover, La Femme, Louis Chedid). 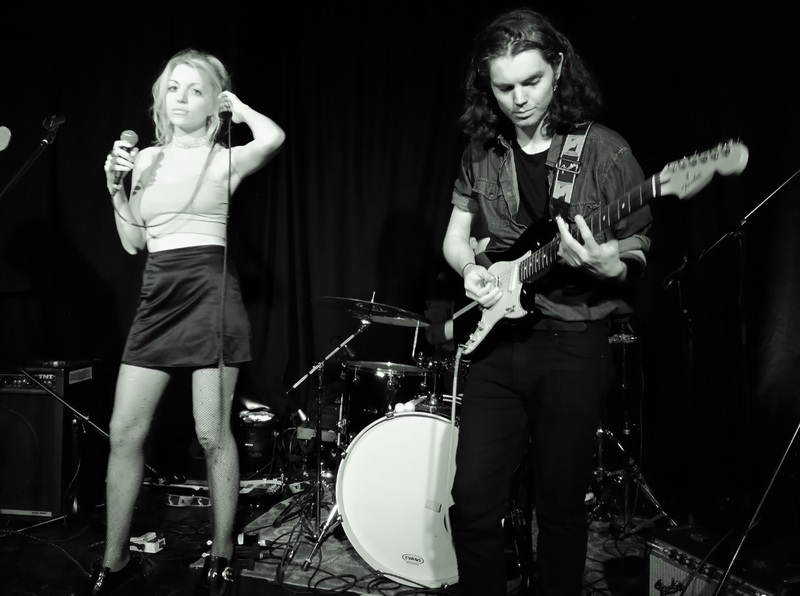 As touched on above, their/her sound is something completely different – 60’s surf, psychedelica, ringing the spirit of yé-yé into the present day. Anna Jean sings stories about being sleep deprived, restless or falling out of love, her mysterious voice is reminiscent of 60s muses, think Nico meets Françoise Hardy, in a time-lag between the nostalgia of an era never known – that of scopitones, two-stroke engines and journeys on the moon – and a contemporary world, at Tarantino, populated by stories of girls, ghosts, cities and cars. 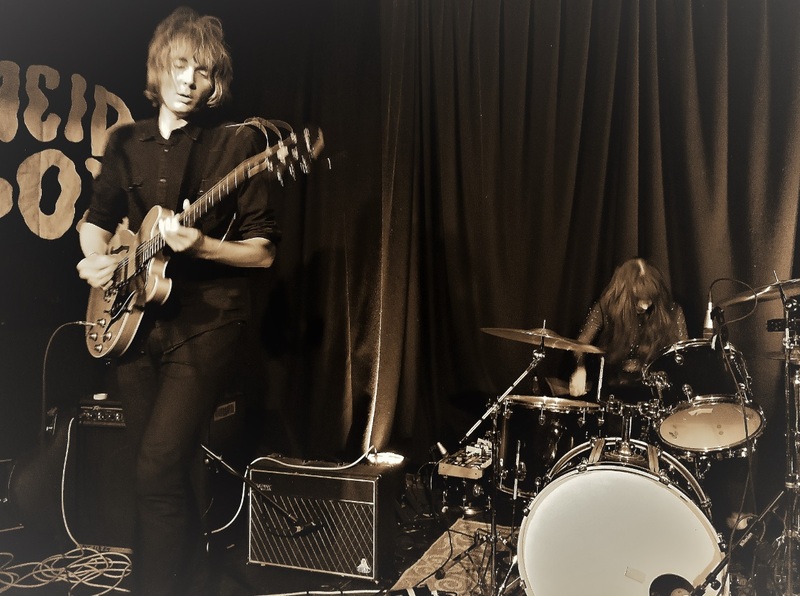 They hear ultra reverberated guitars that respond to harmonies full of spleen and rhythms. This evening, whilst Swanny whizzed away at the drums, “The Thing” and Anna alternatively shared keyboard and guitar duty in the totally packed Rialto Theatre. 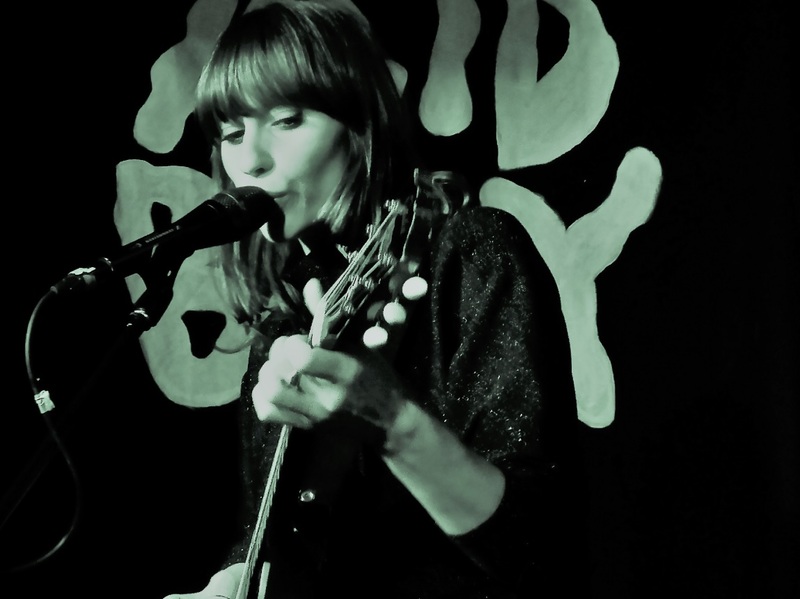 Tonight was Anna’s second time performing in Brighton, with the first being at Sticky Mike’s Frog Bar back at the end of July this year. I’m gutted as I missed it and looking at the gigs schedule, I was actually free that night too…Arrrrgh!! 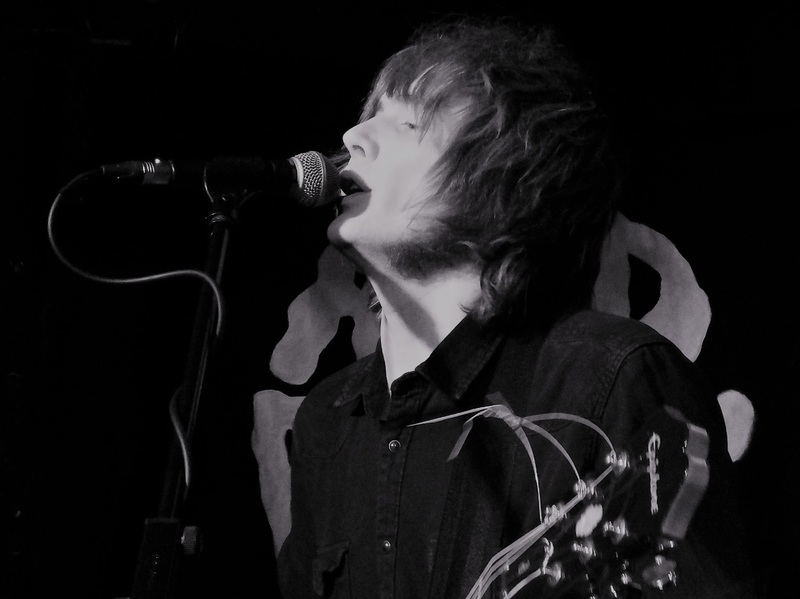 But I’m sure going to make up for it, as I will head and see them in May as they were one of the first fifty acts to be announced at the 2019 Great Escape. 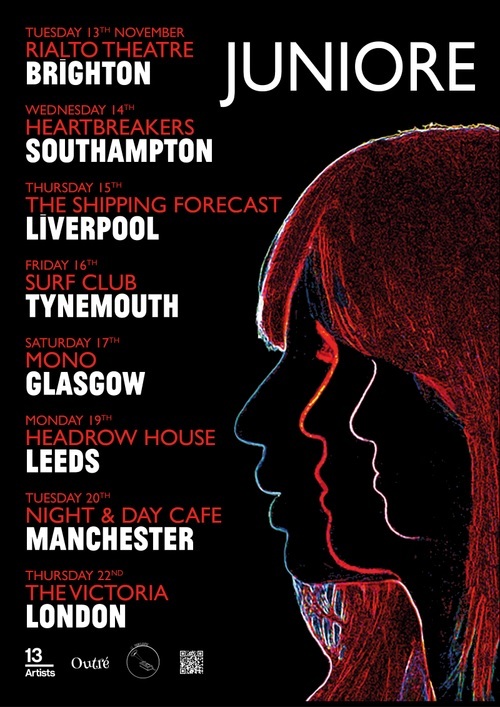 I tell you what, even if this forthcoming gig clashes with another gig, as it often does, I’m still going to see Juniore! Guess I’m a sucker for their quirky rhythms that are played on the VOX Jaguar electric organ (and the like) for swingin’ katz who are fond of The Surfaris ‘Wipe Out’, The B52’s ‘Rock Lobster’ and Nelson Riddle’s ‘Batman Theme’. So did Anna and the gang enjoy their Brighton experience? Sure did! 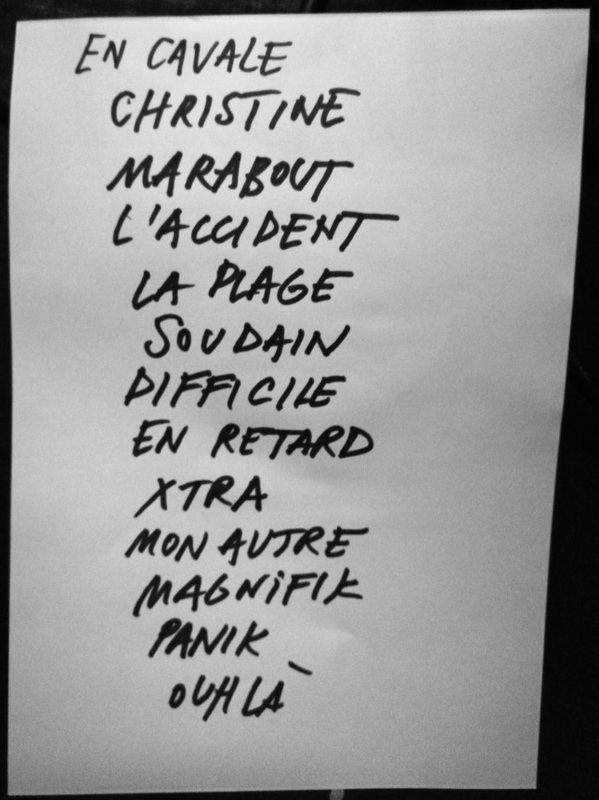 She has posted on social media…..“Brighton, you were full and delightful – Merci Rialto Theatre”. 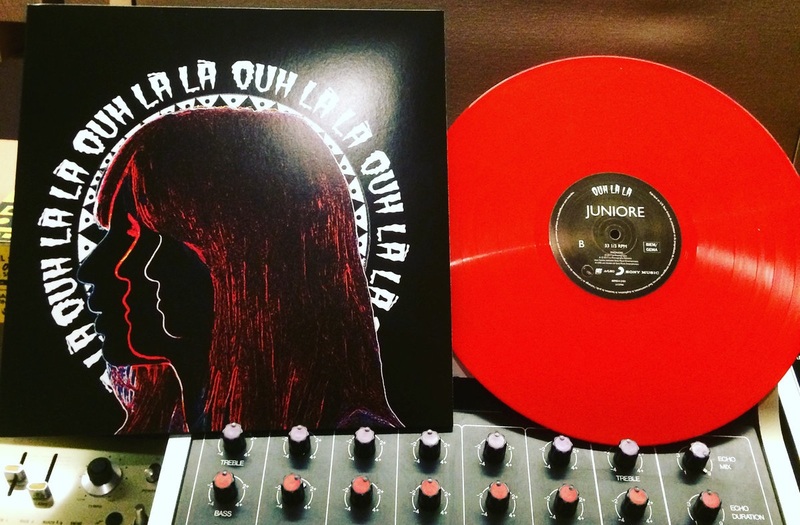 Juniore’s ‘Ouh Là Là’ album was available in striking red vinyl, but it has sold out – oh pants! 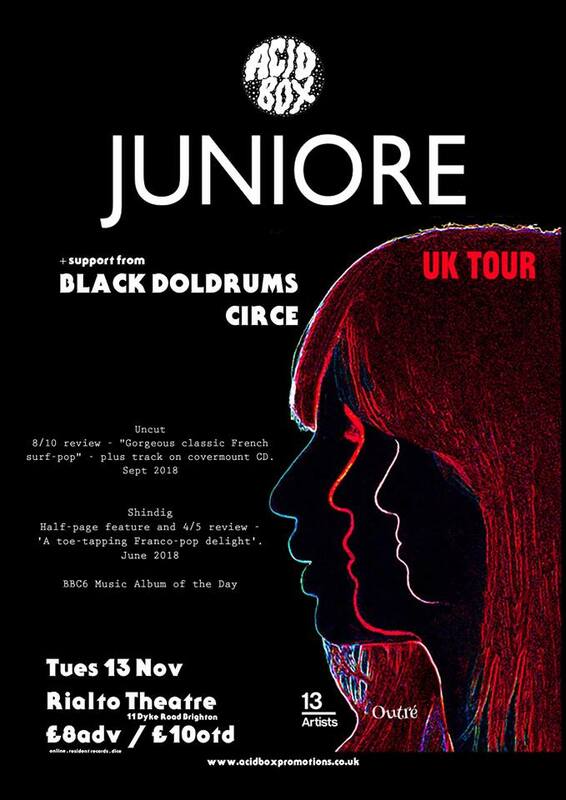 Further Juniore info can be found HERE and listen HERE. The two other support acts on the night were Black Doldrums and Circe. 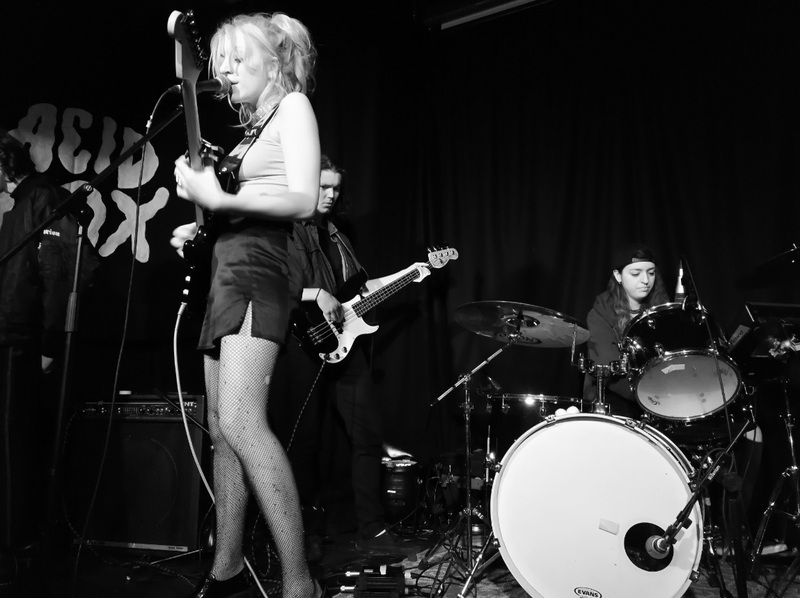 First up was the former Brighton 4-piece Circe, who have scarpered off to London. 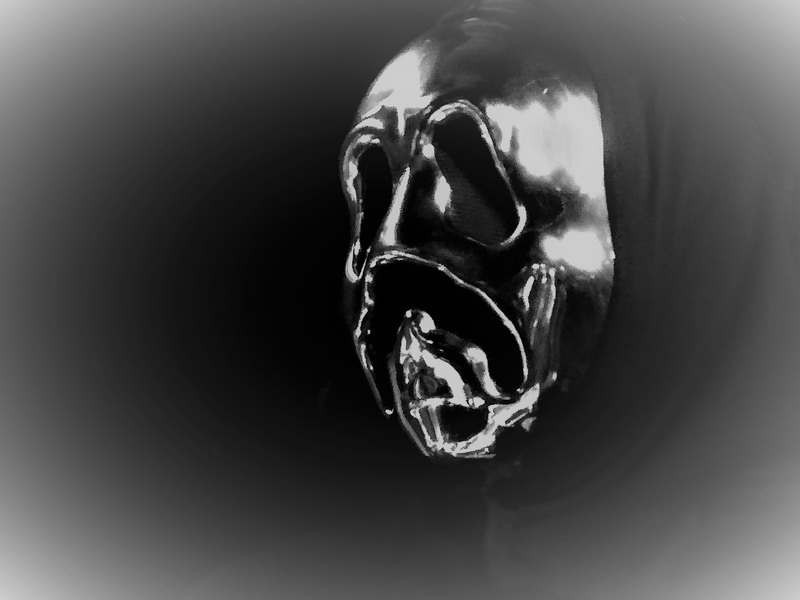 We have enjoyed the Circe live experience several times previously. 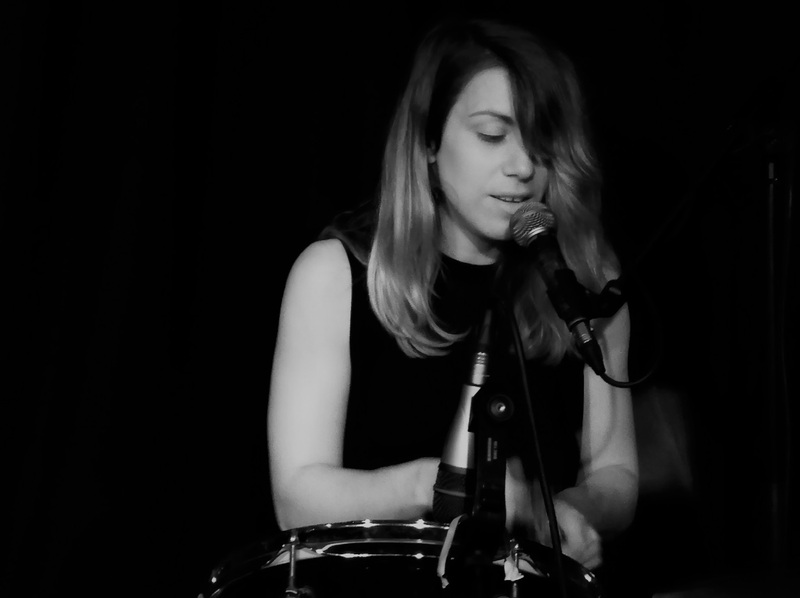 The band are fronted by the charming seductress Alexa Povey, whose ethereal voice is something not to be missed. Circe have released ‘Under My Skin’ and my personal fave the truly hypnotic ‘Blood And Wine’, with the possibility of more music on the horizon. Circe can be characterised by their talent in combining dark dramatic lyrics, brooding soundscapes and visceral meaty Novation synth bass to create an otherworldly dimension – as if Kate Bush was exploring the depths of the upside down. Tonight, due to a tight running schedule, we were treated to a mere four beauties. ‘Preaching’, ‘Under My Skin’, ‘Barely Breathing’, ‘Blood And Wine’. Further Circe info can be found HERE and listen HERE. 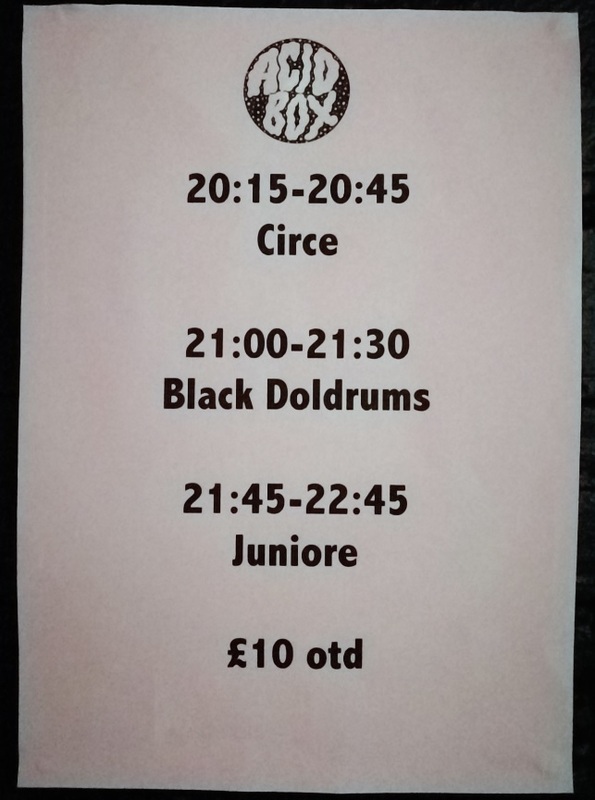 Following on from Circe was London’s duo Black Doldrums who are a male-female couple combo of singer-guitarist Kevin Gibbard and dark haired drummer Sophia Lacroix, who were playing in Brighton for the very first time tonight. These guys are renowned for delivering multiple layers of echo-drenched guitar and heavy relentless drums and thus creating their powerfully distorted transient and euphoric dark-psych, shoegaze sounds akin to Moon Duo, The Jesus & Mary Chain, My Bloody Valentine and Brighton’s lost band Morning Smoke. Their single ‘Those With A Rope Around Their Neck (Don’t Always Hang)’ backed with ‘Exit City Lights’ saw the light of day last April. Their new ‘Sad Paradise’ EP will be released on Club AC30 on limited edition 12″ Black and Purple Splatter Vinyl on 30th November! Pre order it HERE. 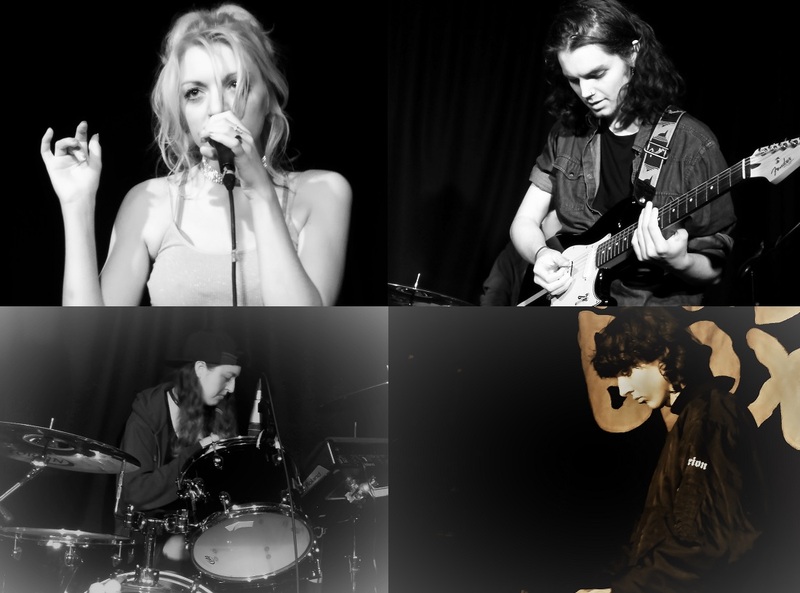 The band is influenced by much of the proto-psych of the1960s, icy post-punk of the 80’s and the Brit Rock swagger of the 90’s, taking their name from Allen Ginsberg’s ‘Denver Doldrums’ and their gothic-psych aesthetic, charmed from Syd Barrett’s ‘Madcap’ era. I have to report that this duo simply blew The Rialto audience away with their wall of sound. They clearly have been astonishing audiences up and down the country with sounds far greater than one would expect from just two people. ‘There Is No Eye’, ‘Those With A Rope Around Their Neck (Don’t Always Hang)’, ‘She Devine’, ‘City Lights’, ‘It’s A Dandy Massacre’. Further Back Doldrums info can be found HERE and listen HERE.